It is looking like the “gateway” into Del Ray will be transformed into a splash park and memorial garden to honor the late Nancy Dunning! The corner of Mount Vernon and Commonwealth Avenues currently holds a park and the former Colasanto Pool, which has been closed since 2010. But the Del Ray Community Partnership is hoping to transform it into Gateway Park. 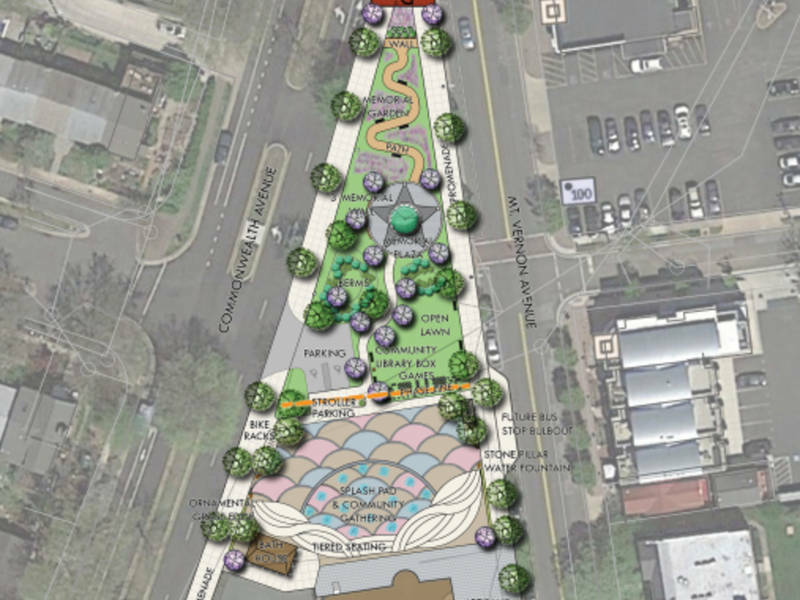 According to the city plans, the spray park could be open by 2020. Before that time, it would be a green space available to everyone. For more information on the project, visit the Del Ray Gateway’s website or their Facebook page.